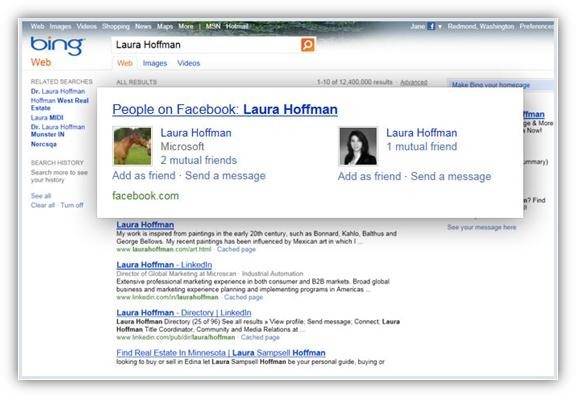 Bing has now connected with Facebook to make searching on Bing more social. Together, Bing and Facebook offers you better search results and a more personalized experience with the help of your Facebook friends. Your friends introduce you to new music, restaurants, movies, and more. Find old friends or discover new ones through Facebook Profile Search on Bing. 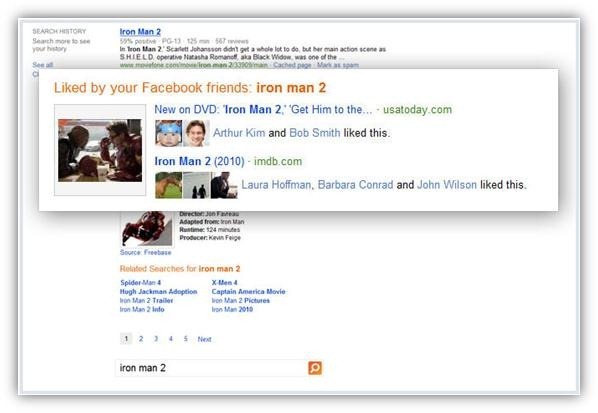 When searching on Bing, Bing includes results based on the things your Facebook friends have “liked” and shared on the web.